Maxwell Tools Successfully introduced and then launched slitting saws before any other company out there. 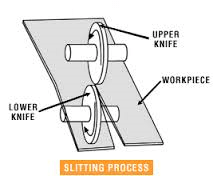 Slitting saws are made with the highest quality steel to help customers cut off, mill, and groove steel and other alloys on all of their machines. Maxwell’s slitting saw blades come in every range of thickness and diameter customers could need. There is also a wide range of tooth forms including: A-B-BW. Maxwell wants to be sure that customers can find a slitting saw to fit all of their needs. Screw-Slitting Saws-Tooth Form “A” – Many projects leave customers with screws all over that they need to mill. The only problem is finding the right tool to do the job; which is where the screw-slit saw comes in. This circular saw blade is all flat ground making them perfect for milling screw heads. The Maxwell screw-slitting saw are crafted with form “A” teeth to help customers create the perfect look. 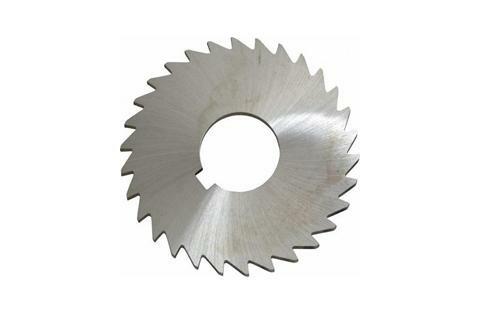 Tube Cutting Slitting Saw-Tooth From “BW” – Often times craftsmen and homeowners are confronted with pipe troubles when fixing plumbing problems. One of the most common problems is tubing that needs to be replaced which can only be done by cutting them out. Our tube cutting slitting slaw makes cutting through tubing a breeze. The secret is that these circular saws are crafted with “BW” form teeth just what customers need for cutting tubing. Side Chip Clearance Slitting Slaw – These slitting saws are perfect for those projects that call for deep cuts or slots. Especially those projects where side cutting chip clearance is important for managing the width of cuts and slots. Staggered Tooth Slitting Saw – Another excellent choice for creating deep cuts these Maxwell blades are also perfect for coarser feeds. Thanks to its helical tooth formation it can provide shearing action while still having plenty of chip space. Nowhere else will you find a staggered slitting slaw with as much quality as those provided by Maxwell Tools. Simple/Plain Slitting Saws – These are the most basic slitting saws on the market perfect for those simple jobs customers need done in a hurry. They are also the best choice for those who are just getting started working on more complicated projects. Maxwell also offers these slitting saws with a wide range of teeth that are available upon request. On top of the wide range of saws that are listed above Maxwell tools also offers a complete range metal working slitting saws. Offering: Rotary Shear Blades for Hot & Cold Working, HR & CR Slitting Cutters, Slitting Spacers, Paper cutting knives, Paper Trimming knives, Paper Slitting saws and Knives, Simplex/Duplex Sheet Cutter Knives, Top & Bottom Slitter Knives, Straw Cutter Knives, Slitting saws, Sheet Cutter Knives. No matter the needs of your project you can be sure that Maxwell Tools has what you need. We have slitting saws for every possible project you have in mind.